According to his obituary in The Telegraph, a prominent British newspaper, Brian Lister went to work in an engineering company founded by his grandfather in 1890, and spent two years during World War II serving in the Royal Air Force, which he selected because he was a jazz enthusiast and “The RAF had the best bands,” Lister said. Lister played drums in one of those bands, known as the Downbeats. But among those who regularly visit this website, Lister isn’t known for his military service or ability as a drummer but for the sports and racing cars produced by Lister Cars, which he founded in 1954. 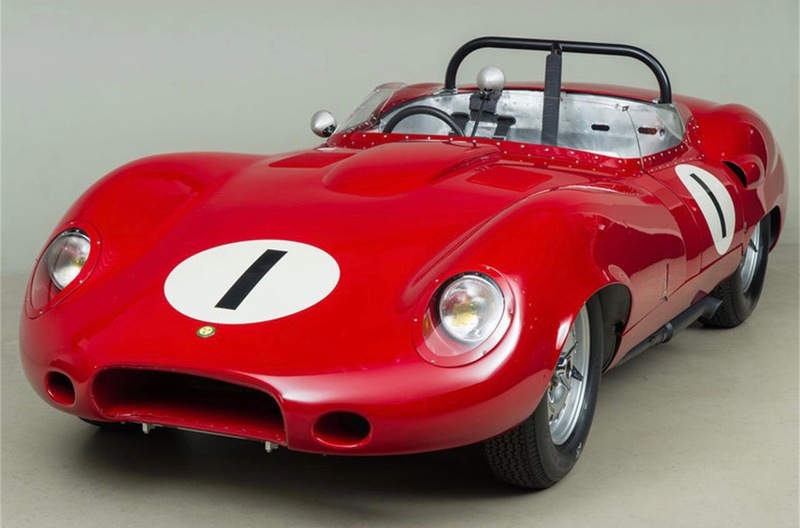 The Pick of the Day is one of those cars, and more, because it is the first 1959 Lister Chevrolet-Costin, the prototype for those to follow. The car is advertised on ClassicCars.com by a respected classic and racing car dealership in Scotts Valley, California. 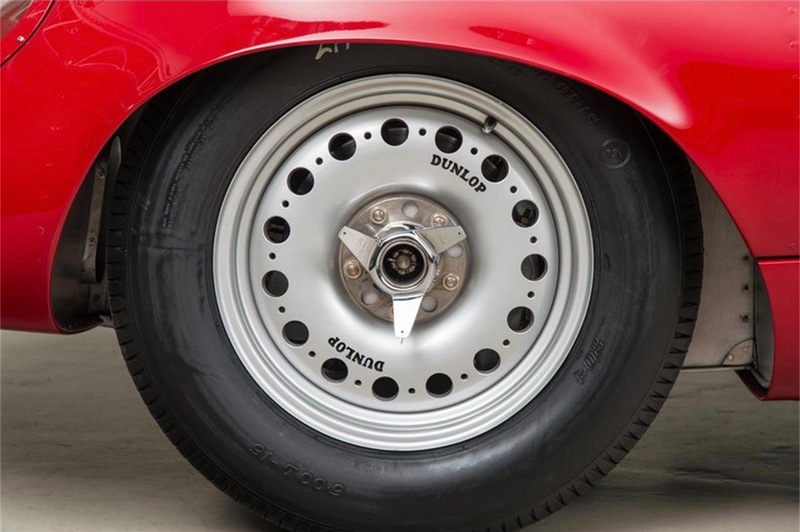 No price is listed for the car, but it likely will not be inexpensive based on its history. The car made its debut at the Goodwood circuit in 1959. Not only was Brian Lister involved with its creation, but to keep his competitive advantage on the race track, he recruited aeronautical engineer Frank Costin to help with the new model’s design. “Drawing on all of this expertise he came up with the design for the Lister Costin,” the seller notes, “which was in many ways a true (Jaguar) D-Type successor. But the car on offer, BHL 121, was the first. 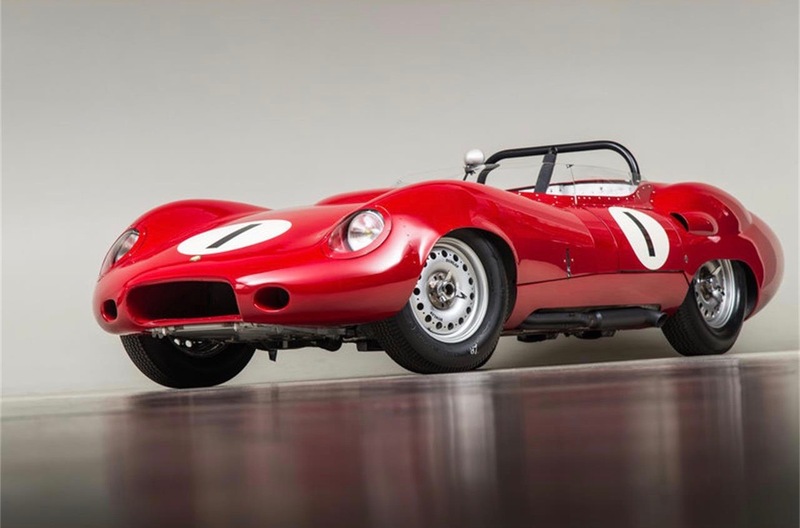 Its first owner was racer John Ewer, who raced it successfully at Snetterton, Goodwood and Silverstone before selling the car in 1960 to Jimmy de Villiers of Southern Rhodesia. The car took part in the first Rhodesian Grand Prix and reportedly won the South African season’s championship with John Love in the cockpit. The seller notes that in 1986, the car was discovered and purchased by Cedric Selzer, a former Team Lotus F1 mechanic and returned to England, where it was sold to David Beckett, who engaged in a restoration project and then raced the car in vintage events, taking British championships in 1988 and again in 1991. 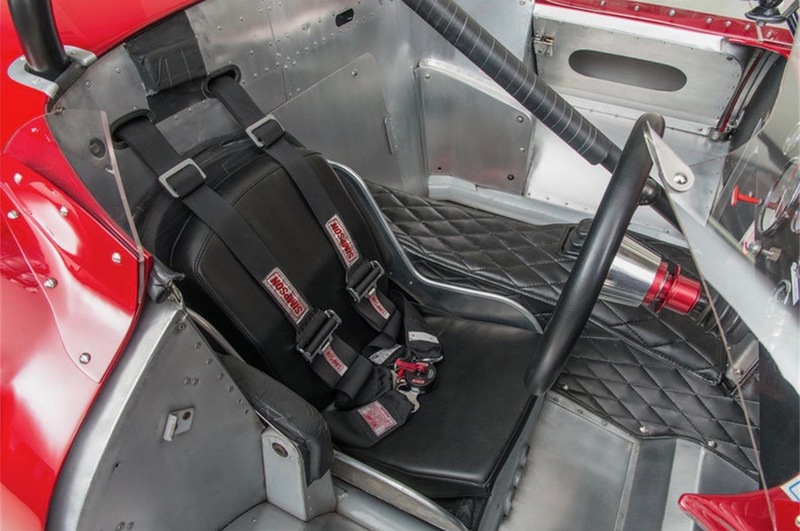 The car continued to race with various owners before being sold for $184,000 to Vintage Racing Motors, an American collection, at a Brooks Auction at the 1995 Goodwood Festival of Speed. 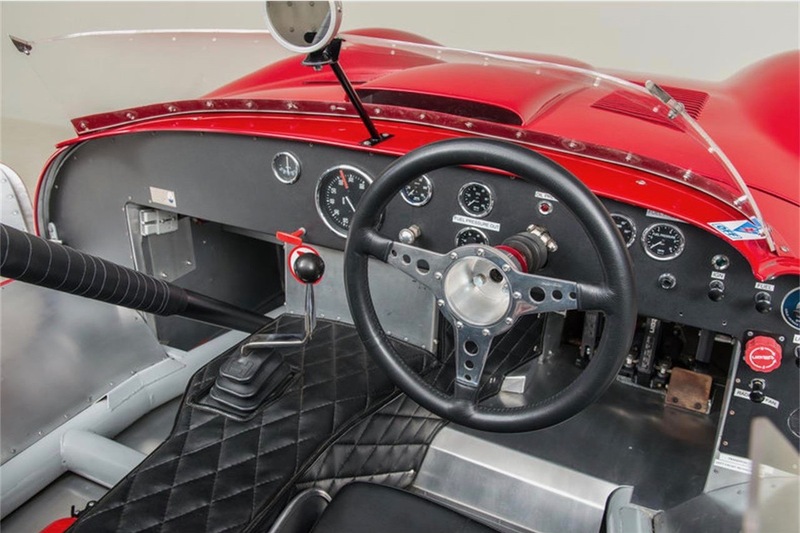 The car was sold again in 1999 to Pat Hart, a New Zealander who sent it to yet another restoration, finished just in time for the car to finish second in class in the Monterey Historics. Hart would race the car in the U.S. and his native country for the next decade, putting on the pole and winning his class at Monterey in 2001. The car has undergone a mechanical sorting and a cosmetic refresh taking it back to its original crimson color with white roundels. The No. 1 is the figure it wore when it raced in 1959, the seller notes. The car’s “fresh” 327cid Chevrolet V8 carries period Hilborn fuel injection. I wonder what chevy engine was installed and how it was built? 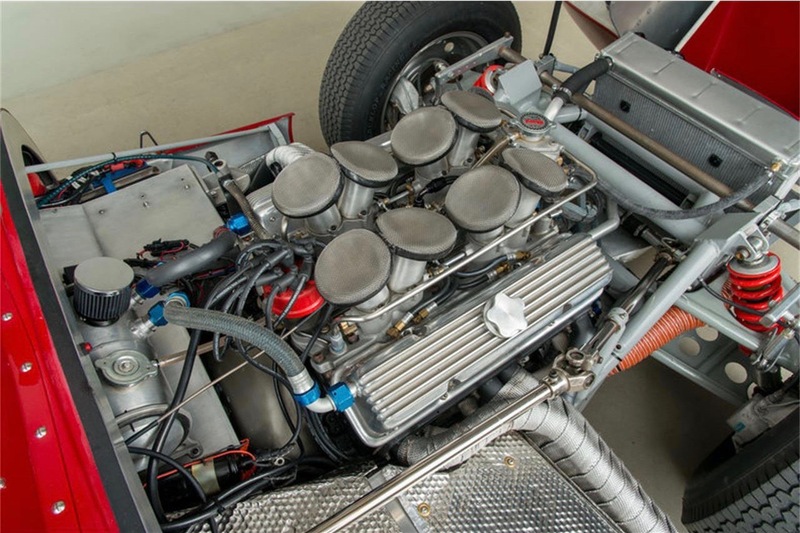 You could have a replica built with a monocoque chassis for less than it would cost to buy this "historic" car….